I have stumbled upon this stall during one of the trips to a Supermarket nearby. 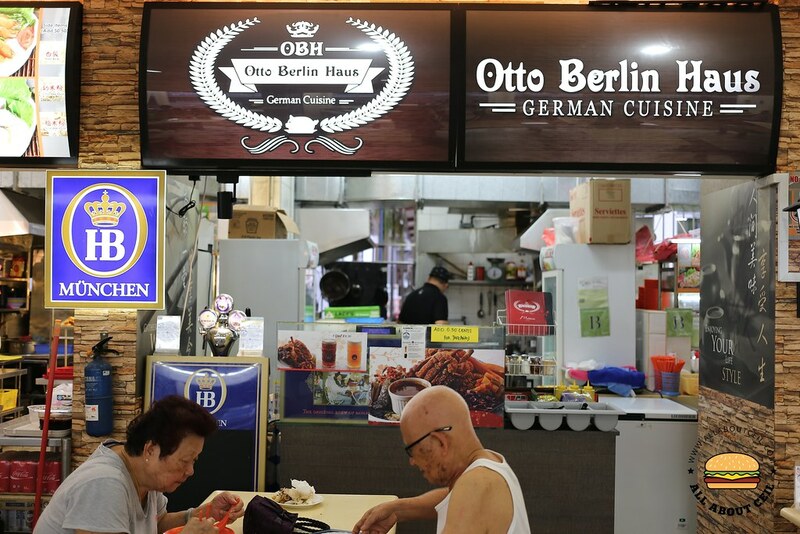 I waited for a while before I get to order, the only person manning the stall was busy with cooking at that time. I went with half a portion of the Pork Knuckle ($12.90), there should not be a reason to go wrong with dishes under the German selection since they are supposed to be good at it. 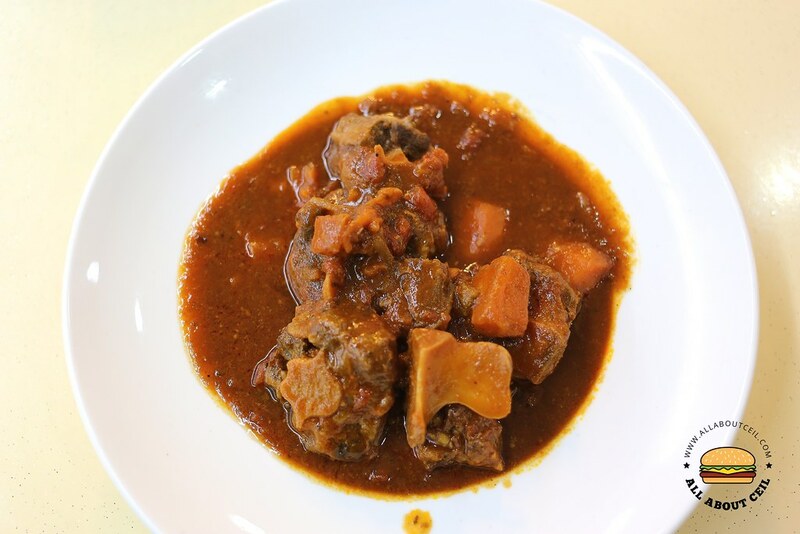 I also decided to go with their Oxtail Stew ($14.90). The menu also offers a choice of the usual western fare. The waiting time was slightly longer than expected. The Pork Knuckle came first, delivered by the same chap. Though only half of the portion but it was of good-sized and is enough to be shared with my dining companion. 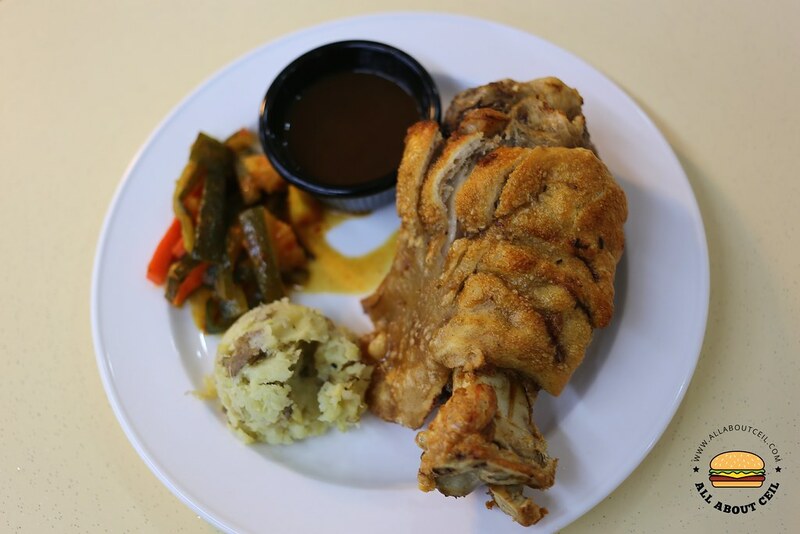 It was served with mashed potato and achar, rather than the usual Sauerkraut that is traditionally served with Pork Knuckle, together with the brown gravy for the dish. 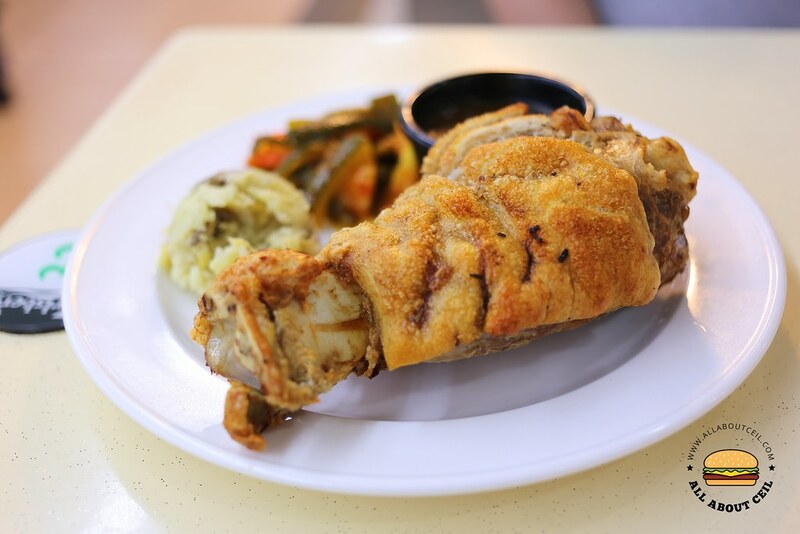 The pork knuckle was not greasy, the well-seasoned meat was tender and moist. 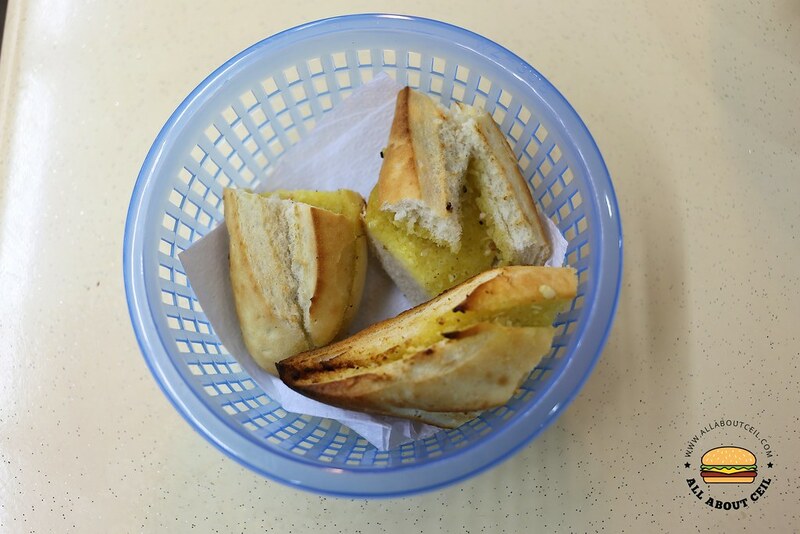 We enjoyed the crunchiness of the skin, it was unfussy and cracker-like. 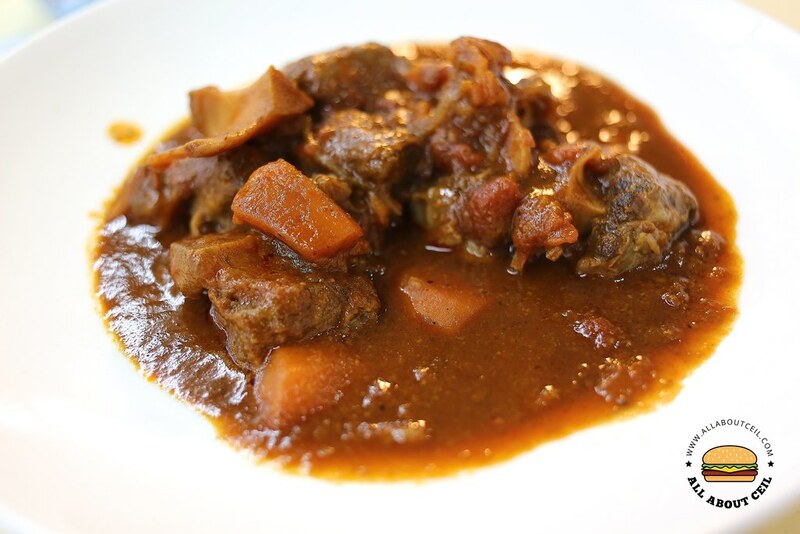 The Oxtail Stew is not usually commonly available, it was a pleasant surprise to find it on the menu. It served with a basket of garlic bread and together they constitute a full meal. It consists of few chunks of oxtail with some carrot and it was better than expected other than a bit too saltish. Though it might not look quite like it but it was actually quite tasty, particularly so when eaten with gravy of the Oxtail Stew.